In addition to having to deal with the threat to electronic health records from hackers, hospitals must also be wary of attacks on their medical devices; as evidenced by a new Food and Drug Administration (FDA) warning over a drug pump hacking risk that exists with Hospira’s Symbiq drug pump. Only a few days ago, two hackers discovered it was possible to hack into the onboard computers of Fiat Chrysler automobiles and take control of the vehicle; now patient’s plugged into the Symbiq drug pump could potentially be at the mercy of malicious hackers. 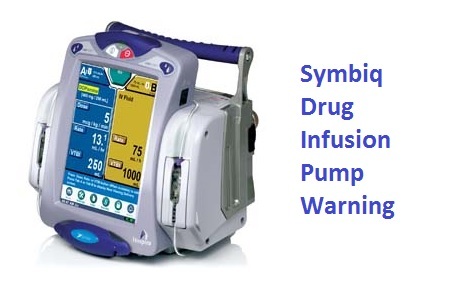 Such is the severity of the Symbiq drug pump hacking risk, on Friday last week the FDA issued a warning to all hospitals using the device, instructing them to retire the devices and make the transition to other, more secure drug infusion pumps. In the meantime the FDA recommended that healthcare providers should “disconnect the pumps from their networks and update their drug libraries manually.” Since the vulnerability can be exploited via unused ports on the devices, the FDA also recommended blocking all unused open ports on the devices. Should hackers manage to exploit the security vulnerability, it would be possible to change the dosage of administered drugs, resulting in patients receiving less medication than required or overdosing; potentially placing the lives of patients at risk. While the hacking risk certainly exists, to date the FDA has received no reports of the devices actually being hacked, or of any patients coming to harm as a result of the security vulnerability; however, with such a serious vulnerability existing it is only a matter of time before a criminal causes a patient to come to harm. It is also possible to exploit the vulnerability to gain access to a healthcare network, and the confidential patient health information that is stored. The devices are particularly susceptible to attack via wireless networks, according to an independent cybersecurity researcher. The FDA press release confirmed the latest security vulnerability has been communicated to both Homeland Security and the Federal Bureau of Investigation. This is not the first Hospira drug pump hacking risk that has been reported. Earlier this year, the FDA and Homeland Security’s Industrial Control Systems’ Cyber Emergency Response Team identified security vulnerabilities with the company’s LifeCare PCA 3 and PCA5 drug administration pumps. Also, in 2012, imports of Hospira devices from the company’s Costa Rica plant were banned in the U.S due to a number of quality issues with the devices, although those issues have since been rectified and importation of the devices has recommenced. Hospira has responded to the FDA and Homeland Security by saying its newer devices have been manufactured with additional protections to counter the device hacking risk, and that its latest Plum 360 infusion pumps do not have the same vulnerability as the Symbiq range. Earlier this year, TrapX Labs, an independent research team of TrapX Security, identified a number of medical device hacking risks, which hackers were trying to exploit to gain access to computer networks. Any electronic device that is connected to a healthcare computer network is a potential point of entry for hackers; hospitals must therefore keep abreast of the latest cybersecurity bulletins and warnings and take action to secure their devices. Failure to do so could result in the loss or exposure of Protected Health Information, or patients coming to serious harm.